Salazar's Revenge runs aground on its voyage to the island of predictability. Before sitting down to watch the latest film in Disney’s Pirates of the Caribbean franchise, I would advise a healthy dose of rum to numb the senses; and by ‘healthy’, I mean a quantity Jack Sparrow himself would be proud of. Salazar’s Revenge – also known as Dead Men Tells No Tales or The Fifth Sequel That Nobody Asked For – is a frustratingly predictable film. If you have a general idea of the direction Pirates films generally sail in, you could probably conjure up with a more inventive plot than Disney have here. The highly publicised returns of Orlando Bloom and Keira Knightly are barely cameos (Knightly doesn’t utter a single word), while Johnny Depp is a less coherent (!!) 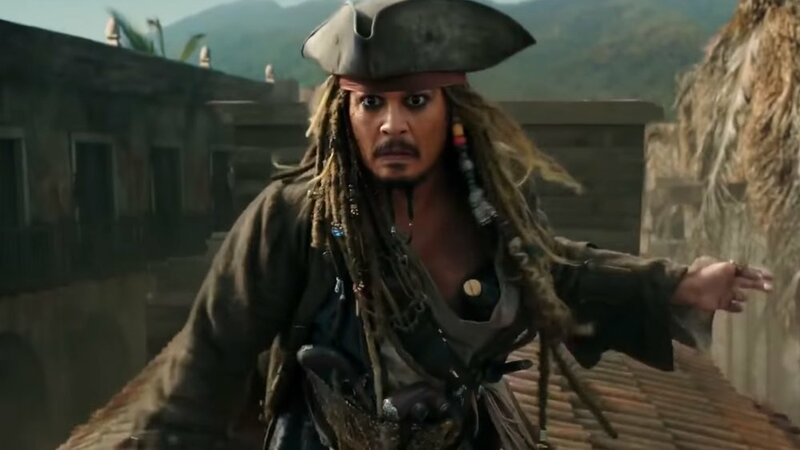 version of Captain Jack than ever before, relying solely on cringeworthy drunk performances and an ability to slot himself into a plot that actually would play out very similarly without his presence. Cue forced chemistry between the franchise’s new darlings Carina (Kaya Scodelario) and Henry (Brendan Thwaites), another sub-par villain in Javier Bardem’s titular Captain Salazar, and then poor old Geoffrey Rush is hamfisted into the convoluted mess. A minor positive to mention is the return of ridiculous action sequences that made the original trilogy so iconic – Jack’s brush with a guillotine being particularly memorable – but calling Salazar’s Revenge better than Stranger Tides doesn’t justify its existence. It simply can’t decide whether it’s a final farewell or the start of Chapter 2 for Pirates of the Caribbean, when if everyone’s honest, it probably shouldn’t exist at all. Pirates of the Caribbean: Salazar’s Revenge (2017), directed by Joaquin Rønning & Espen Sandberg, is released in the UK on DVD and Blu-ray through Walt Disney Studios. Certificate 12A.